What happened to this degree of understanding in mental health? 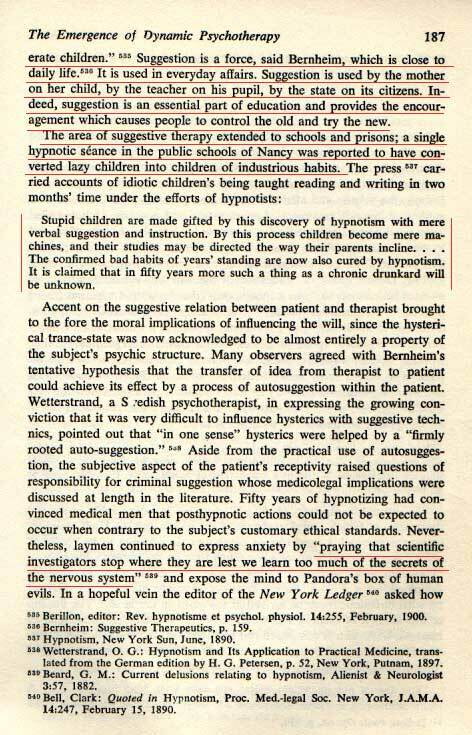 The last seven lines of page 189 begins a descent into public fearfulness, the most powerful motivators of dissociation. The statement concerning the "customary ethical standards" are generally true, unless the techniques described in EMOTIONS and MEMORY and Human Behavior, accounted for with my conclusions and comments, are employed to enable, justify and unconsciously protect behaviors that breach ethics behind barriers of memory.